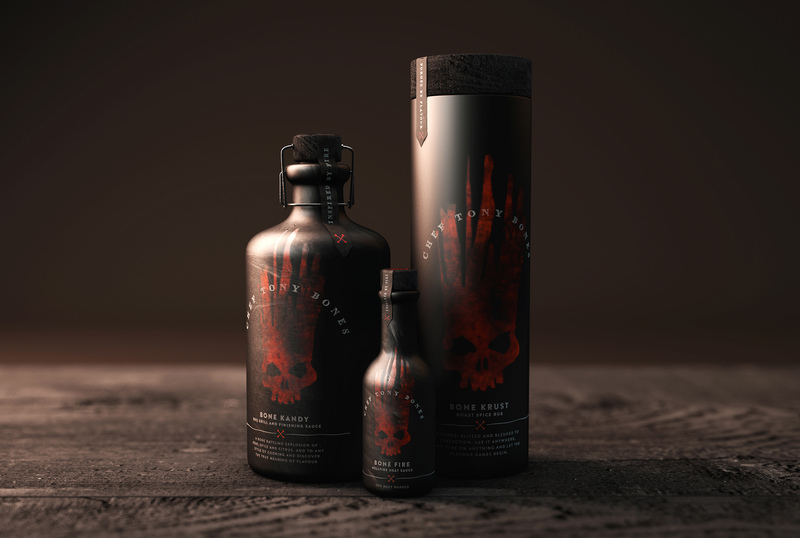 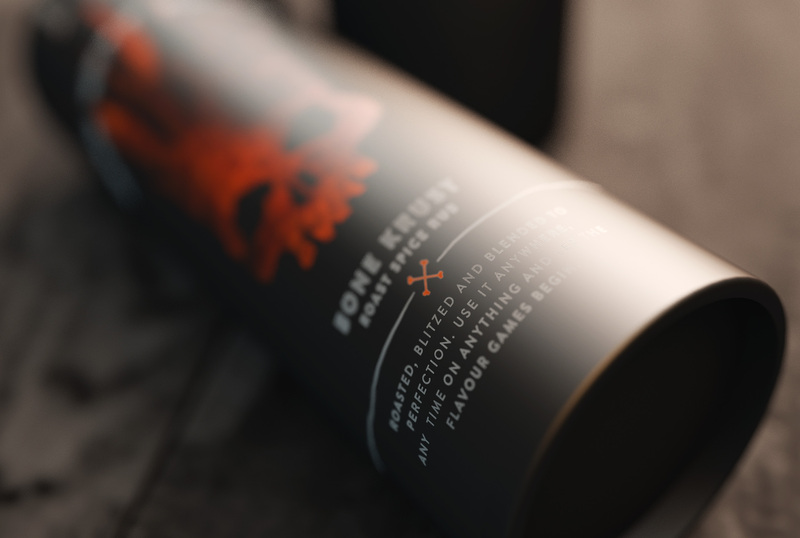 Old school blacked out bottles and fiery red tones bring the BBQ experience to life for US-based chef Tony Bones. 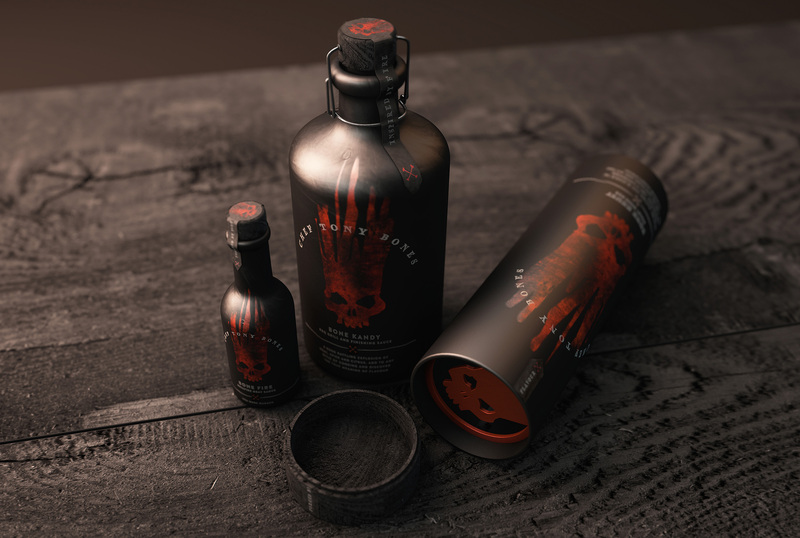 The hand-drawn skull logo adds personality, something used to great effect in the Bone Krust packaging (tube shaker) and bottle seals. 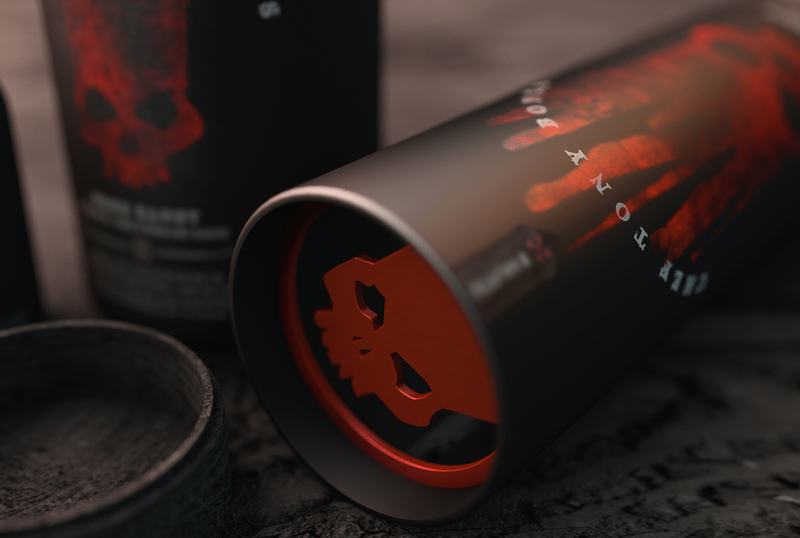 We really wanted to make the packaging something you’d want to keep and not just throw away after use, even if it's just for display.